Recently a story from several years ago began making the rounds again. This happens fairly often, where click bait sites regurgitate old fake news articles. This one is about millions of bees dying near a field planted with GMOs in Ontario. There is simply no evidence of this happening. The internet has served to, unfortunately, combine two different topics in relation to bees and modern farming techniques. There is concern about a class of insecticides called neonictinoids (neonics). Neonicotinoids, like nicotine, bind to nicotinic acetylcholine receptors (nAChRs) of a cell and trigger a response by that cell. In mammals, nicotinic acetylcholine receptors are located in cells of both the central nervous system and peripheral nervous systems. In insects these receptors are limited to the central nervous system. Nicotinic acetylcholine receptors are activated by the neurotransmitter acetylcholine. While low to moderate activation of these receptors causes nervous stimulation, high levels overstimulate and block the receptors, causing paralysis and death. Acetylcholinesterase breaks down acetylcholine to terminate signals from these receptors. However, acetylcholinesterase cannot break down neonicotinoids and their binding is irreversible. Because they are often found as a coating on seeds in conventional farming, the majority of planted GMO crops have this coating as well. But so do non-GMO crops. Ban GMOs and you still have neonics, ban neonics and you still have GMOs. The fact checking site Snopes has found that any direct links between GMOs and bee deaths remains unproven. The rumor started after OrganicHealth.com published an article titled 37 Million Bees Found Dead in Ontario, Canada After Planting Large GMO Corn Field. The Organic Health article was basically a repurposed version of two articles published by The Post in June 2013 and CBC News in August 2013. Neither of those articles mentioned GMO corn. In fact, the Organic Health article never truly blamed GMO corn for killing millions of bees. Other than the title and the first sentence, Organic Health steered away from the idea that a GMO corn field caused 37 million bees to die in Canada and instead aligned with the conclusions drawn by the Post and CBC News: The culprit behind the devastating bee deaths in Canada is believed to be neonicotinoid pesticides. While the idea that GMO corn is causing millions of bees to perish around the world is intriguing, it is also unproven. The same could be said for neonicotinoid pesticides, of course, but the evidence is starting to tip towards the latter. 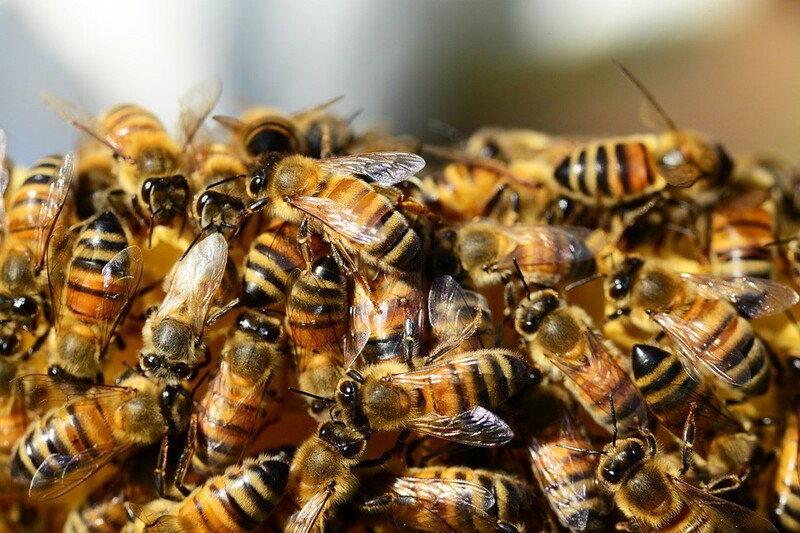 The Pest Management Regulatory Agency (PMRA), an arm of Health Canada that regulates pesticides, investigated the bee death incident in Ontario and found that neonicotinoids were likely to blame. There are occasional, but intolerable bee kills due to seed planting dust (especially so this year), from which individual beekeepers may suffer serious financial losses. This issue must be resolved! Although there is a substantial amount of good field data indicating that neonic residues in pollen and nectar are generally at tolerable levels, in some instances higher concentrations have been found. These situations need to be clearly identified. The long-term potential buildup of residues in soil must be carefully monitored. The sky-high application rates of neonics for landscape uses (turf, ornamentals, homeowner use) and on flowering trees, and the resulting runoff into surface waters, is of legitimate concern. The sublethal effects upon bee behaviors, such as memory, navigation, and age-related task allocation need to be further studied. The interactions between these insecticides and the bee immune response to parasites such as mites, nosema, and viruses need to be thoroughly investigated. Neonics have been shown to synergize with one particular class of fungicides. Other synergies should be explored, although there is no particular reason to suspect that neonics are unique in this matter. All the above are things to be suspicious of, but to date there is no overwhelming evidence that any of them, save for the planting dust issue, generally cause serious problems. To date, no independent investigatory body has been able to confirm that the neonics are responsible for large-scale colony mortality. Practical application: the scientific community and the regulatory bodies are well aware of the potential adverse effects of the neonicotinoids, are actively researching the issues above, and are in the process of reassessing their risks. There is a growing public demand for more environmentally-friendly pesticides, which must be balanced against the real-world needs of agriculture for effective pest control products in order to feed a hungry world. Unfortunately, there are constraints due to cost and the expiration of patents that limit the actual amount of testing that can be done before regulators must make decisions as to whether a pesticide appears to be safe enough to be registered for use. Accordingly, the EPA often grants “conditional registration,” which allows it to ask for continued testing under actual field conditions. This is a good thing, since approved uses of a conditionally-registered pesticide can be quickly revoked should problems appear. Honey bees will be fine. They are a globally distributed, domesticated animal. Apis mellifera will not go extinct, and the species is not remotely threatened with extinction. The bees you should be concerned about are the 3,999 other bee species living in North America, most of which are solitary, stingless, ground-nesting bees you’ve never heard of…. Honey bees weren’t affected by the seed treatments. But wild bees were affected, and in a big way. Wild bee density in the treated fields was half that of the untreated fields. Bumble bee colonies grew more slowly, and produced fewer queens. Solitary bee nests disappeared from the treated fields completely…. After several years of intensive research on honey bees and colony collapse disorder, we know a lot about what kills honey bees. We don’t have that broad knowledge base for our native bees. We don’t even know what is a lethal dose of pesticide for many solitary bees…. The evidence is clear that many native wild pollinators are declining. That wouldn’t be a big deal, if commercial honeybees could pick up the slack. They can’t. Managed honey bee colonies supplement the work of natural wild pollinators, not the other way around. In a study of 41 different crop systems worldwide, honeybees only increased yield in 14 percent of the crops. Who did all the pollination? Native bees and other insects…. Part of the problem for our native bees is our human desire for neatness and uniformity. Pretty lawns with no bare spots. Non-flowering grass, or pollen-less flowers. Paved spots where a sand bank or brush pile may have been before. All places where a native bee might have made her home or found a snack. We alter everything about our environment — water, light, plants, even the bacterial and fungal communities around us. Bees can’t just appear for a week, pollinate your plants, and disappear. They have to have something to eat the rest of the year, and a place to live. Habitat loss, pesticides, and decreased floral diversity all take a toll on these little animals. So are GMOs a risk to bees? Definitely not directly. Human activity in general is a threat to our pollinators. So the best thing we can do for them is increase the amount of wilderness. Increase yields to further reduce the amount of land needed to feed people, and stop clearing land for the suburbs.